Jacks Honey receives ribbons for honey at the local county and state fairs. We entered some honey at local fairs this fall, here's how we did. 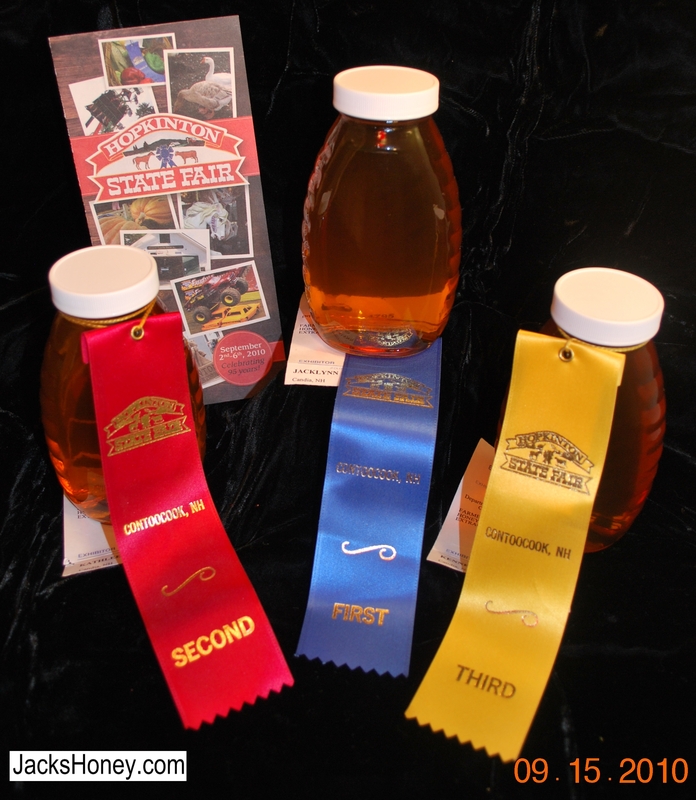 Jack's Honey Wins first, second and third place at The Hopkinton State Fair. Jack's Honey wins first, second and third place at The Hillsborough County Fair. 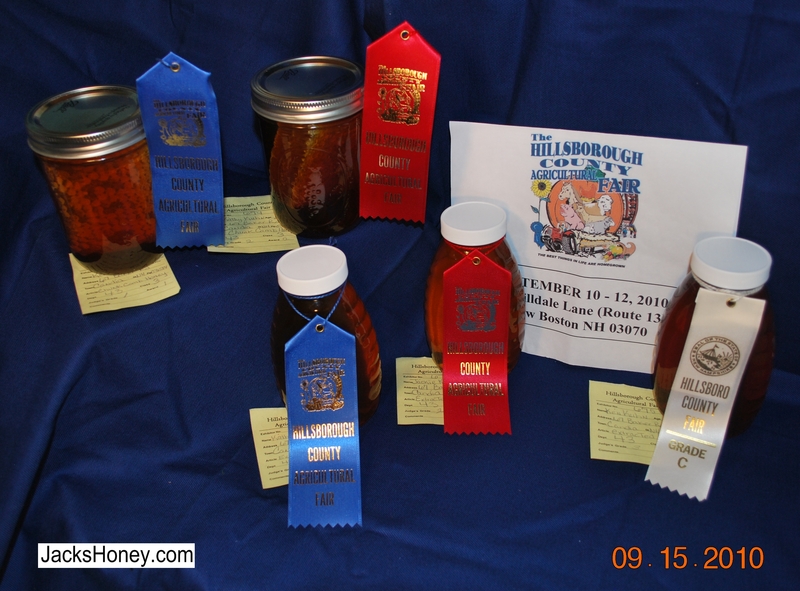 Jack's Honey also wins First, and Second place at The Hillsborough County Fair for Chunk honey. 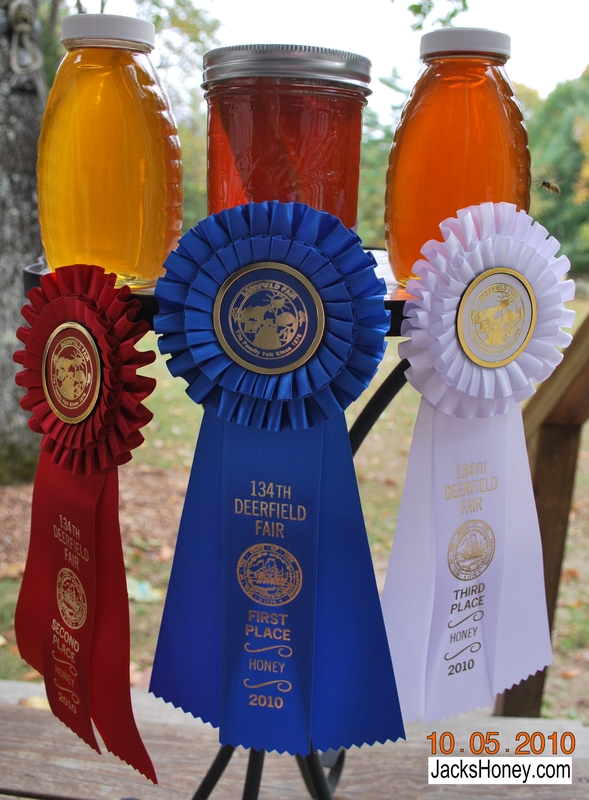 Jack's Honey wins second and third place at The Deerfield State Fair, and a first place for chunk honey.. This is where we announce the most recent additions to our web site. If you've visited us before and want to know what's changed, take a look here first. See the new link below, "Bees". See some of the things I do with my bees. Product Announcement, 2010 honey is now available. This year we have a limited amount of Chunk and Comb honey.